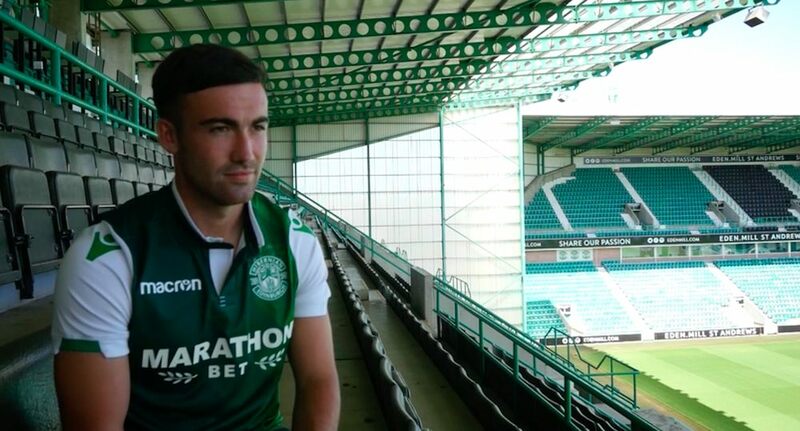 STEVIE MALLAN believes a candid squad summit led by captain David Gray can arrest Hibernian’s recent slump. The capital club have endured six matches without a victory, slipping into the bottom half of the Premiership and failing to display the attacking panache that has become synonymous with Neil Lennon’s two-and-a-half years at the helm in Leith. The need to avoid a malaise setting in has been recognised by senior players such as Gray, Paul Hanlon and Steven Whittaker, who brought the group together in the aftermath of Hibs’ dismal 3-0 defeat to Kilmarnock at the weekend for ‘lively’ talks. “It was the experienced boys having a chat with the full squad,” explained Mallan. “It’s very rare to all get together to talk so I think it was a healthy chat to see what’s going on and how we can help the manager and his staff. “We have a good nucleus. We have older guys like Davie [Gray], Paul [Hanlon], Lewis Stevenson and Stevie Whittaker and you learn a lot from those players and what they have to say to the group. “They have been through different highs and lows in their careers, so it is good to get the knowledge. It also helps the younger ones be a bit more confident in the dressing room and get a chance to speak. It’s a healthy thing. “Everyone here knows the script. We’ll keep what was said in-house but it was just a lively chat among the boys. Having emerged through the youth ranks with tonight’s visitors, St Mirren, Mallan has a welcome sense of perspective regarding Hibs’ current travails. While he is eternally grateful for the platform he was given in Paisley and remains a firm favourite with the Buddies’ faithful, his maiden campaign as a first-team player ended in relegation and he experienced what a true club in crisis looks like. “When I first broke in at St Mirren, we were down at the bottom of the league,” he continued. “I was just a young boy and it wasn’t a nice place to be with relegation and people losing their jobs. I went through a lot there and it was a hard thing to take. “Most seasons at St Mirren I was near the bottom of the league. I have been through relegation battles there and taken a lot of experience from that. A mouth-watering December sees encounters with St Mirren and Hamilton followed by tantalising tussles against Celtic, Livingston, Hearts and Rangers twice. “We might be in the bottom half of the table now, but wins against St Mirren and Hamilton take you right back up into the mix,” Mallan added. “That would give us real confidence going into the run of games with Celtic, Rangers, Hearts. Meanwhile, assistant head coach Parker, addressing the press corps in the place of Lennon, confesses there is something of a crisis of confidence among the players and have urged the supporters to stick by them tonight. “There’s a lack of confidence all round, you can see it,” added Parker. “It’s our job to get the players performing again. Previous articleHow Will Fintech Impact Your Business?